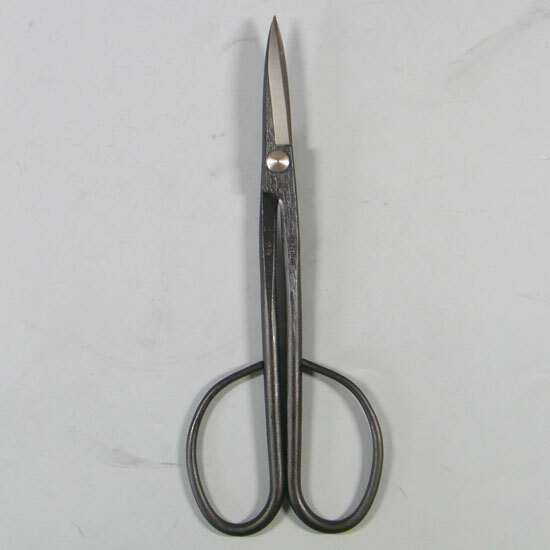 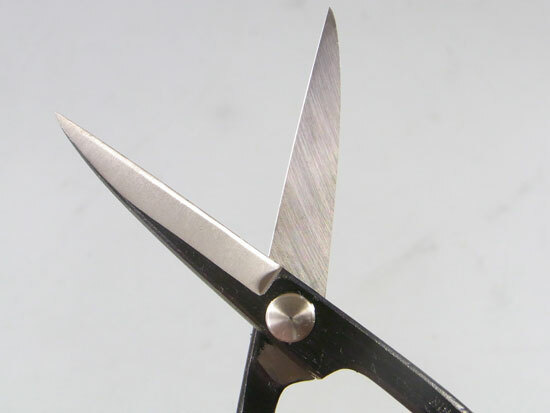 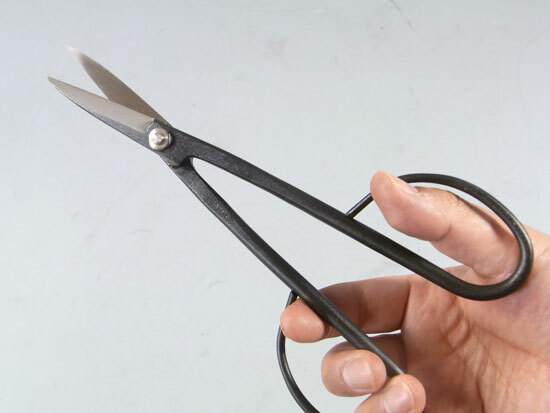 This is the bonsai trimming scissors. 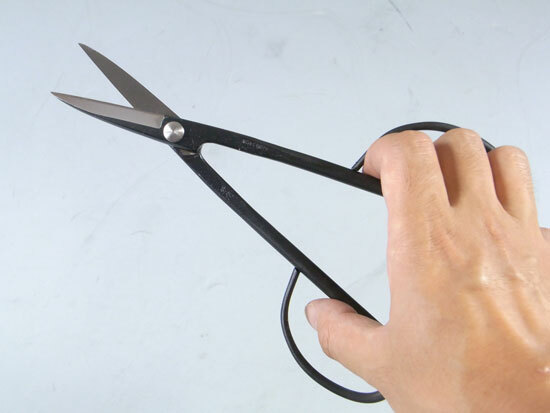 This handle is long and thin. 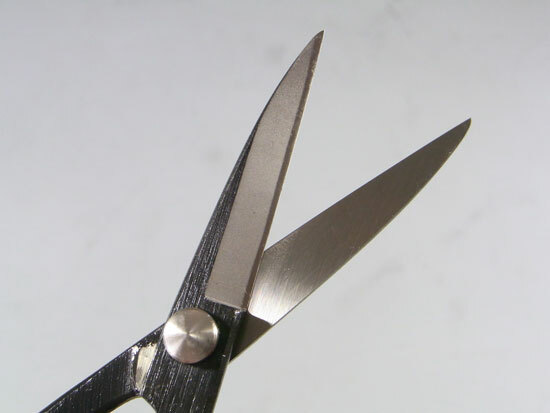 You can cut the leaves and small branch that is growing thickly. 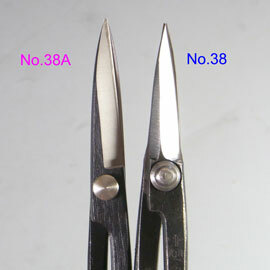 The point of blade of No.38 is thinner than its of No.38A.You can do the fine work. 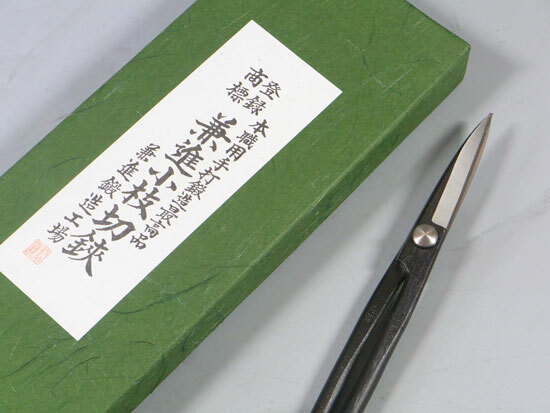 The width of blade of No.38A is wider than its of No.38.Therefore you can cut the thicker branch a little. 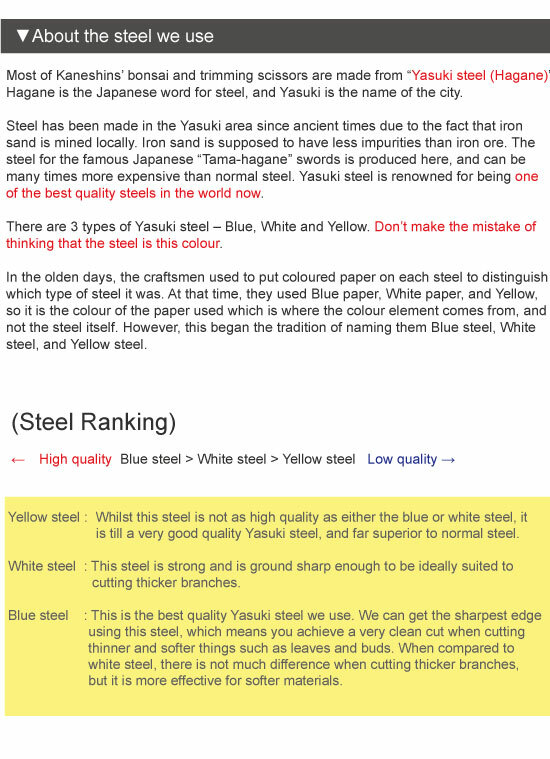 No.38 is made by Hand-made and of white steel. 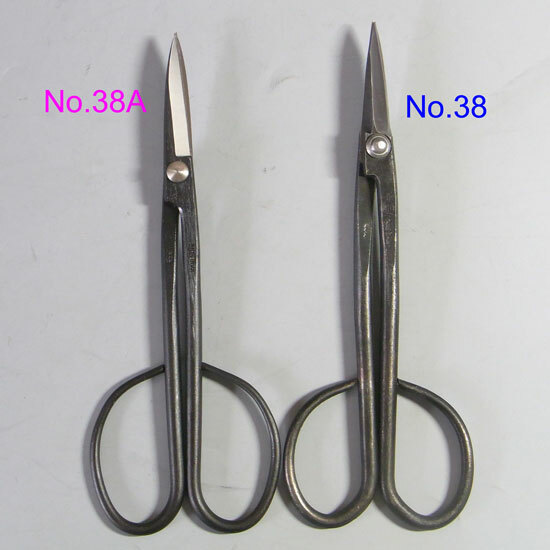 No.38A is made by Machine-made and of blue steel.